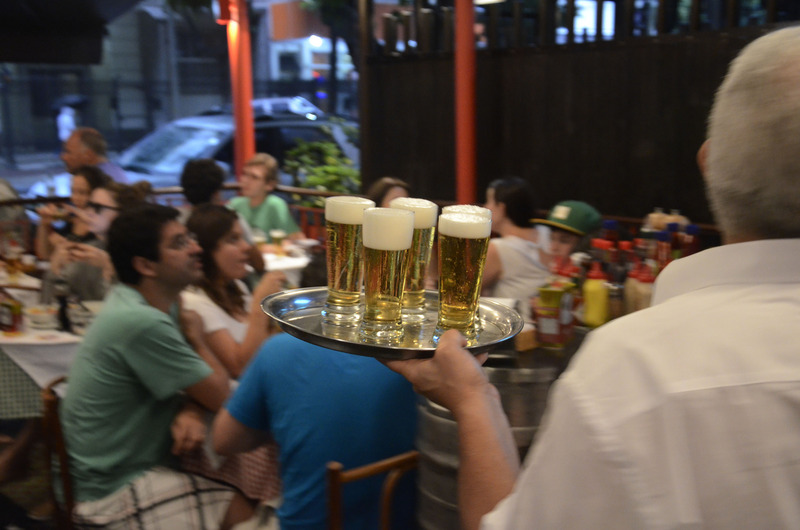 Somewhere between a pub, a bar, a café and a restaurant, a good boteco is a staple of daily life in Rio de Janeiro. RIO DE JANEIRO, BRAZIL – The Cidade Maravilhosa arguably has has some of the best bars, street parties and nightclubs in the world. However, there is another establishment that often passes under the nose of many visitors to the city: the humble boteco. Slightly more upmarket in its décor and location, Jobi, in Leblon, is still a great place to enjoy a drink, meet old friends or even make new ones, photo courtesy of Alexandre Macieira/Riotur. Less flashy than a bar, less noisy than a nightclub, a good boteco is similar to a favorite spot on the beach: it is an extension of the living room, a place to meet friends, eat some hearty food, watch the latest football (soccer) match, or simply enjoy a refreshing beer. Still a boteco in spirit but very much in keeping with its surroundings, Jobi is a place where celebrity residents of Leblon are often spotted sneaking in for a quiet drink. However, despite its slightly more expensive offerings, Jobi still serves up an atmosphere of unpretentious, egalitarian conviviality. Many regulars here know the waiters by name, and the waiters, in turn, know their order by heart. A classic establishment of Rua Visconte de Pirajá, this is the place to go if the glamour and trendiness of Ipanema gets too much. A simple, timeless recipe of ice-cold choppes (draft beer), laid-back clientèle and simple but delicious food is all you need to while the time away here. The place is known to get animated when the occasion calls, with live music and a barbecue often arriving after sunset. This tiny boteco is tucked away from the hustle and bustle of Rua Bolivar, one of the main bar areas in Copacabana. Instead, what greets you here is a small room, tiled, of course, and a wall made up almost entirely of cachaça (the national spirit of Brazil) bottles. The barman serves a mean caipirinha, probably about quadruple the strength of what it should be. BipBip, in Copacabana, has many hallmarks of a great boteco: small in size, with a legendary owner, and plenty of plastic and wooden chairs that spill out into the street, photo courtesy of Alexandre Macieira/Riotur. This boteco is unique in the city in that it is one of the few establishments that is open 24 hours of the day. Therefore it is not uncommon to see people having their morning coffee next to someone still drinking from the night before. 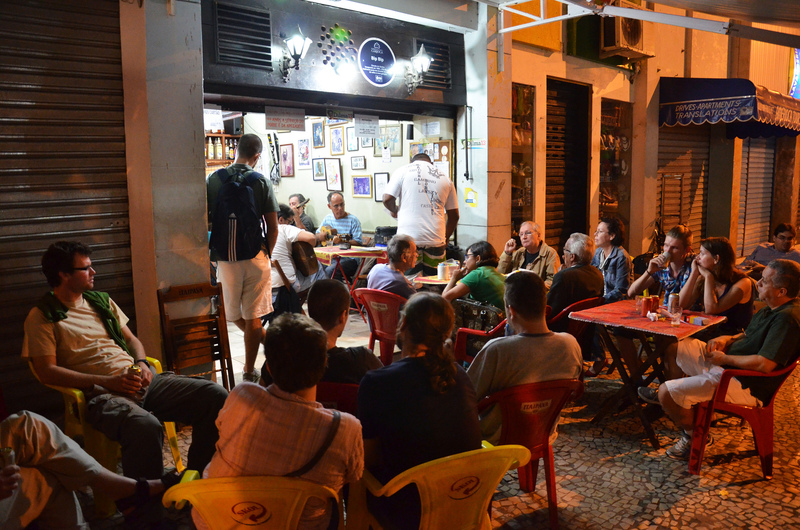 This open-all-hours atmosphere lends itself well to the alternative surroundings of Botafogo. Prices aren’t the cheapest, but round-the-clock service comes at a cost, and the food here is much more varied than the usual boteco fare. A little bit out of the way, somewhere on a hillside in between Glória and Catete, lies Britan Bar, or, as it’s affectionately known by locals, Bar do Zé (Zé’s Bar). Zé and his wife, Dona Nete, run one of the friendliest and most relaxed bars in Zona Sul (South Zone). With a simple menu of beer and sandwiches, they have transformed an old, dusty warehouse into a tranquil watering hole. Another boteco Ramon suggests is Copacabana’s BipBip and its stalwart owner ‘Alfredinho.’ “For everything he represents in political and cultural terms.” He states.